7:51pm–#Fairfield Connecticut– A man was robbed while at the ATM at the Bank Of America at the circle at 1320 Kings Highway Cutoff. A tall male displayed a handgun. The victim was shaken up but refused medical treatment. K-9 is on scene tracking the suspect. 11:15pm–#Wallingford CT–3 People shot at the Meek Mill Concert, two reported dead from http://www.myrecordjournal.com/ Multiple reports say there were members from Bridgeport’s North End that performed at the concert. 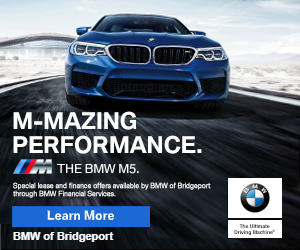 10:50pm–#Fairfield Connecticut–#cttraffic– Two accidents reported one on on I-95 southbound a rollover in the middle lane near the rest area and now a second accident reported on the northbound side.